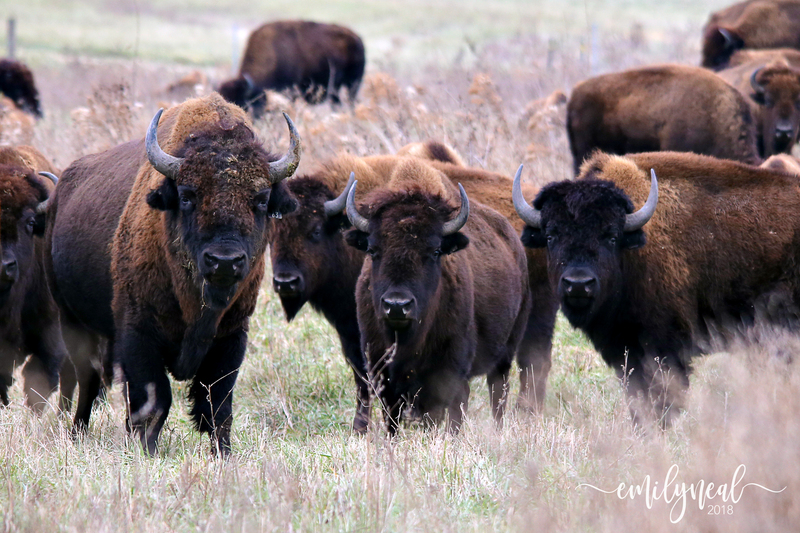 If you wanted to see a herd of 80 bison that live in a forest preserve in the suburbs of Chicago, how hard do you think it would be? Bison are huge creatures. There are 80 of them. And they are roaming around an area that isn’t typically the home to such a large, unusual animal. Surely, they would be difficult to miss. My husband and I learned otherwise on Friday. It’s become an annual tradition with us on our anniversary to take the day off work and go on an adventure together. We are weird. So we don’t go into the city to explore museums or eat fancy food. We like to head outdoors, usually with a camera and explore a new place. 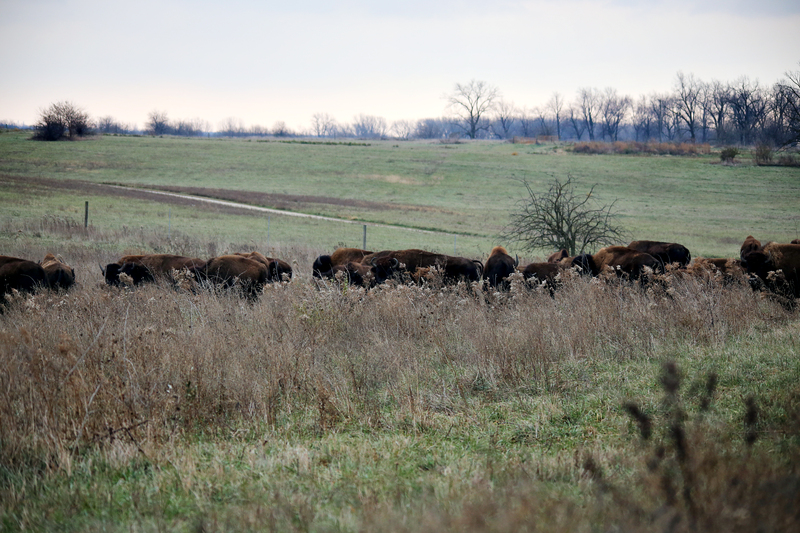 I realized that on the way to our destination, we would pass right by the Midewin National Tallgrass Prairie, which is about 30 miles from our home in the suburbs. 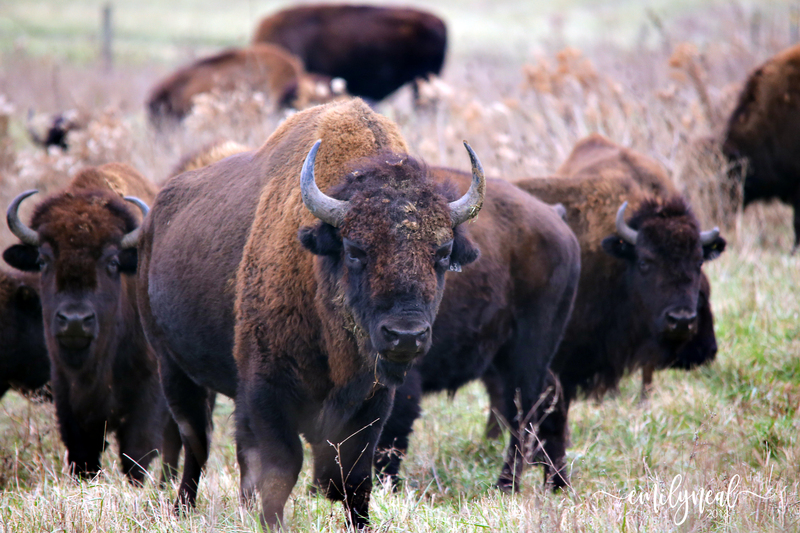 I knew that about three years ago, the U.S. Forest Preserve, which manages the area, had started a project to relocate bison in the prairie. “Let’s stop and see the bison,” I said to my husband. I’m not sure what I envisioned. Maybe bison roaming near the fence by the highway. Perhaps we could roll down our window and watch them wander around their enclosure. I supposed we would be able to walk up to their home like we were at a zoo exhibit. When we arrived at the visitor center, I quickly found out it wouldn’t be that simple. First, the preserve is 20,000 acres. If you have a hard time imagining how big that might be, let me break it down into a highly scientific description: super, gigantical, mega, large amount of land. Second, the preserve is non-motorized. What does that mean? The only way to get around it is by foot, bike or horseback. We did not have our horses or our bikes. 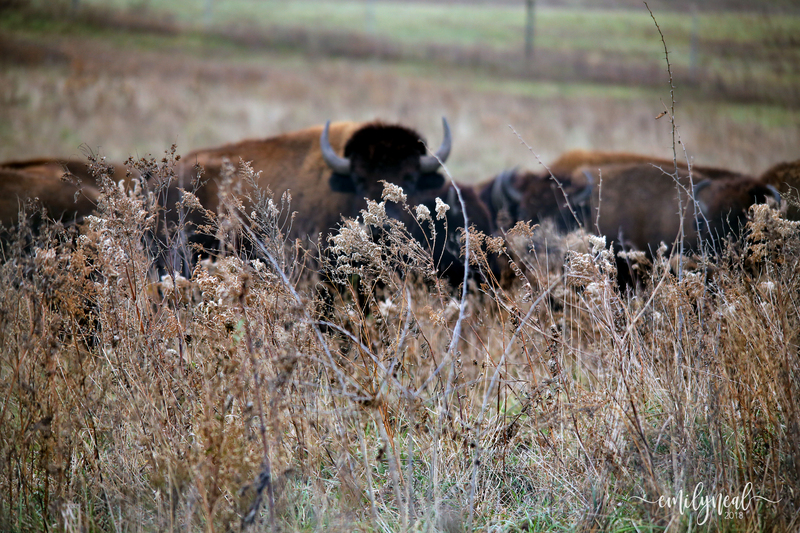 Third, even though bison are tall and 80 of them sounded like a LOT, the prairie is rolling with hills and tall grass. Believe it or not, it’s easy even for a bison to hide. 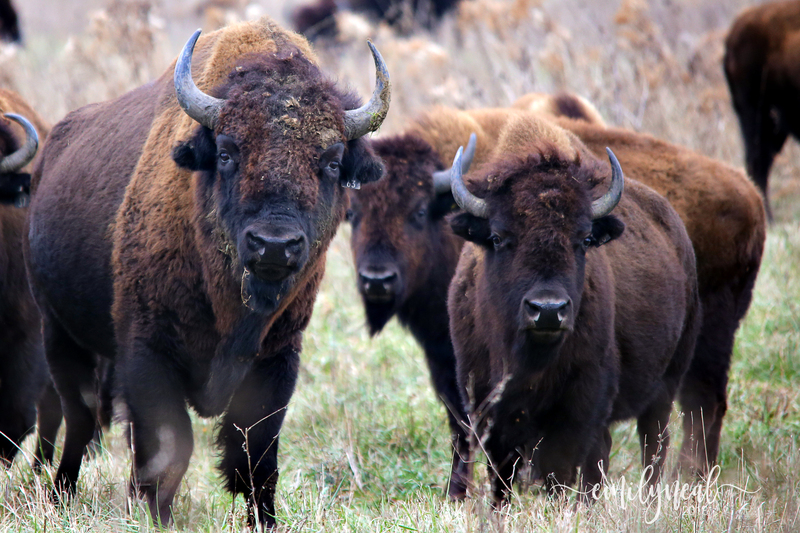 We asked the workers at the visitor center if they had any tips for finding the bison. They actually had good news. They have a camera on the property that sometimes spots the bison. They had recently seen them in an area near the trail. We would have to walk about 1.5 miles. But if they had not roamed off to another area, we might see them. We drove our car to another parking lot, and had our pick of parking spots. We were the only people there. I quickly realized that this might be a very pleasant hike on a warm summer day. However, it has been unseasonably cold, even for November. The wind was brisk and whipping in our faces. Thankfully, we were wearing thick layers of clothes, coats, hats and our warmest gloves. We grabbed our gear, and headed off. As we walked, we joked about our crazy adventures. 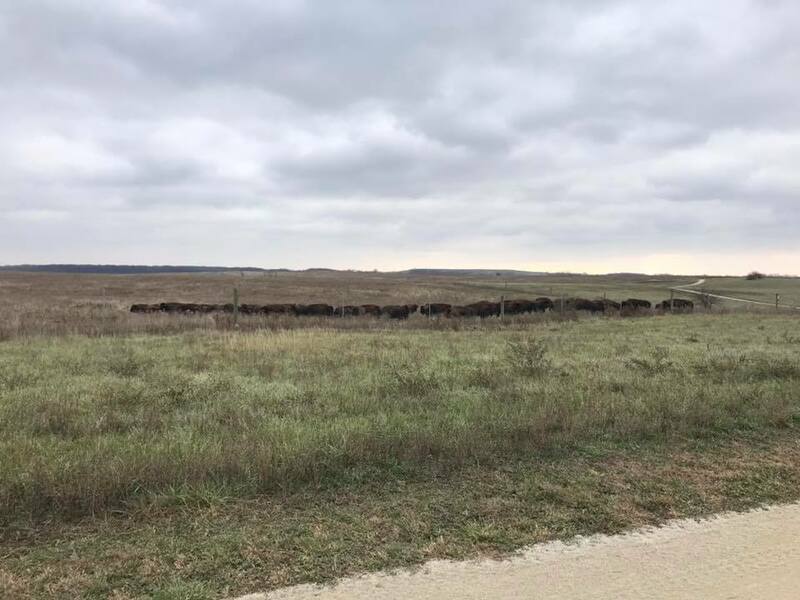 We couldn’t think of many people in the world who would want to be walking down a path in a dense prairie on a freezing cold day to try to find a herd of bison. About a mile in, I suggested that maybe we should have just gone to the zoo. It was amazing how expansive this preserve was. And we saw zero signs of bison. When we got about 20 yards away, we spotted their brown backs. It really would have been so easy to have given up and turned around. They don’t make any noise. They basically just lay around or stand around and eat all day. And the hills and prairie keep them hidden until you are right next to them. The bison had definitely planned their day in our favor. They were right next to the fence. As long as I didn’t get too close, they stayed put and just stared at me, snapping their photos. We could probably go back there a dozen more times and never see the bison again. We especially wouldn’t be likely to see them hanging out right next to the fence at a point on the trail that was only 1.5 miles from the parking lot. I’ve had lots of amazing animal adventures this year. I got to see a family baby owls in their nest in the spring. I got to see that gorilla giving birth in the summer. I got some great shots of a couple of swans at sunset. And I finished the year by seeing the bison. 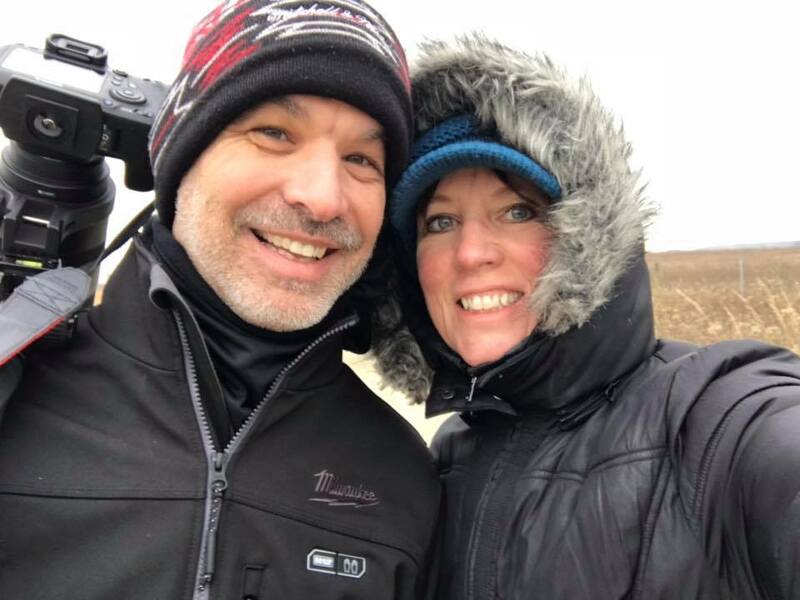 I’m so thankful for my amazing husband and our shared interest in getting outside and not letting 20,000 acres of prairie or a cold wind deter us from our adventures in life! This really is the coolest tradition!